This is now a subcommitte of the Equity and Diversity Committee. Please catch the newest information on the EDC page. Embracing diversity is a core value of the West Hartford Public Schools. We want all students and parents to feel welcome, regardless of income, race, religion, or family structure, i.e. two parent, grandparent-headed, single parent, and LGBT (lesbian, gay, bisexual, transgender) households. The administration wants to be sure that this core value is modeled for employees in the same way it is for our students and families. 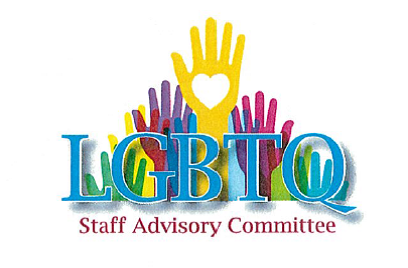 To that end, we are forming an LGBT Staff Advisory Committee to offer support and focus on matters of concern to LGBT staff and work on ways that we may better provide welcoming, visible and tangible support to our staff. information; and to conduct studies as needed to address these concerns. Links to Meeting Minutes click to read our Google Doc for minutes. handicap except in the case of bona fide occupational qualification or need.